Released as one of the first cigars in CAO's growing World Series (exploring unique tobaccos from the world's most diverse growing regions), CAO America characterizes a true "melting pot" blend of premium tobaccos, representing the USA better than perhaps any other cigar to grace humidors across our great country. For starters, CAO looked to the Connecticut River Valley, where two of the world's most sought-after, contrasting tobaccos are grown. 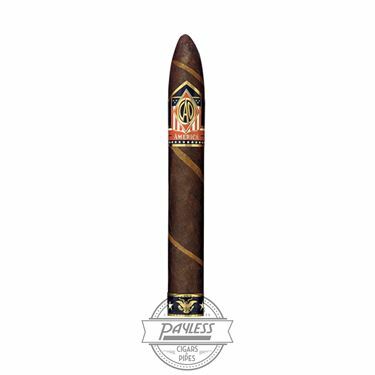 But where most blends simply choose one or the other, CAO America intertwined both leaves (Connecticut Shade (light) and Connecticut Broadleaf (maduro)) to be used as the wrapper component. Underneath the hood is a Brazilian binder, which secures a multinational blend of American, Nicaraguan, Italian (you heard that right), and Dominican long-fillers. Not only that, but the entire filler recipe is harvested from ligero primings (the highest tobacco priming), meaning the blend has loads of strength and flavor to compliment the unique wrapper/binder combination. 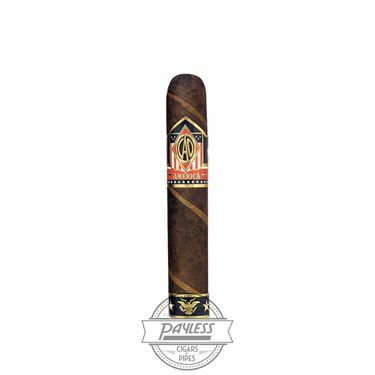 Since its release in 2007, CAO America has not only been the go-to cigar for nearly every American holiday, but an extremely popular everyday choice as well, showing full-bodied, gritty flavors of toasted nuts, espresso, heavy oak, earth, cinnamon, and exotic spices.